I’ve been meaning to write this post for weeks now. I finally have a few minutes to sit, type and maybe put a coherent thought together. 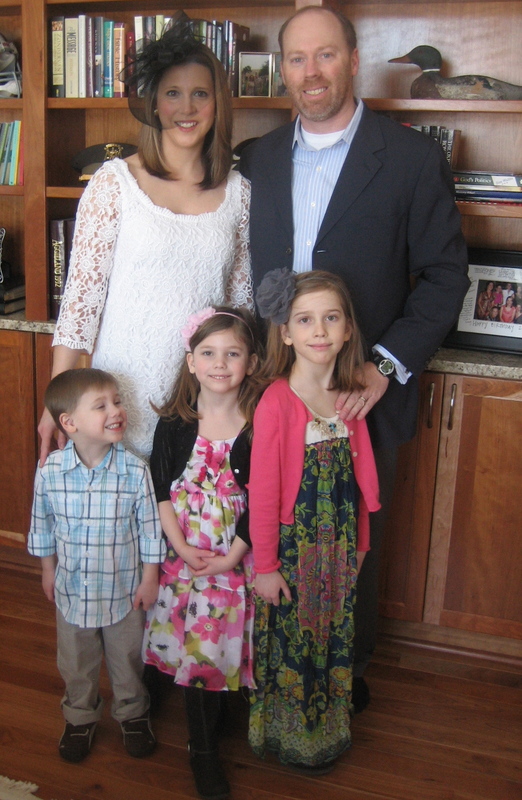 Our family experienced our first Easter in Alaska a few weeks ago. Very different than an Easter in Texas. As a kid, I remember a few chilly Easters where I had to wear a sweater to Easter egg hunt. This year, my kids had to put on full fledged snow gear to hunt for eggs. The kids ready to look for eggs in the snow. The eggs were hidden in snow. I’ve definitely never had that experience before! As my best friend back in Texas told me, “Well, at least you didn’t have to worry about the ants finding the eggs and the candy!” So true. We hung out at home that morning, hunted eggs, had brunch and then went to an afternoon church service. And really, no matter where you are, Alaska or Texas, cold or hot, He is the reason we celebrate. I thank Him for all of my blessings: my husband, my children, the opportunity to live in such a beautiful place and yes, even to be lonely and learn to rely on Him alone.